The 18-month program emphasizes learning through rotational exposure to corporate services, an academic medical center and dynamic community hospitals. Individuals develop a comprehensive understanding of a complex health care organization with a strong academic and spiritual mission, and have many opportunities to further develop their leadership and communication skills. Individuals who successfully complete the Houston Methodist Administrative Fellowship Program will be equipped with the knowledge and experience necessary to meet the demands and challenges facing tomorrow's health care industry. By offering such a program, Houston Methodist hopes to develop individuals who will serve as future leaders, eager to create the next generation health care experience. 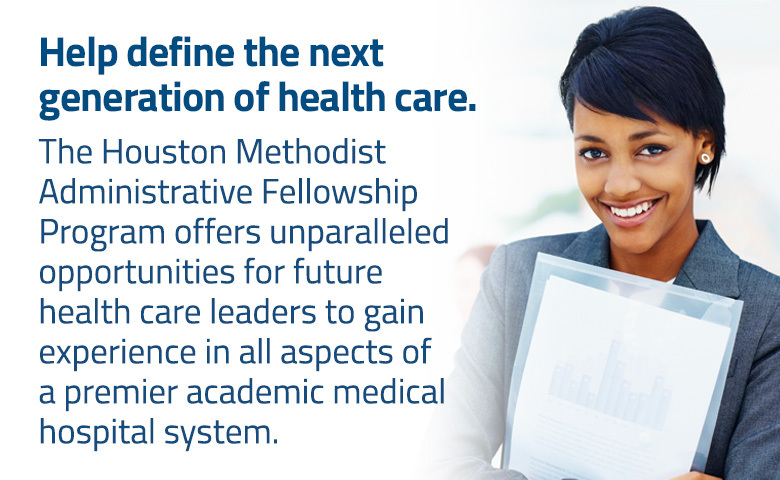 Houston Methodist Administrative Fellowship Programs are proudly members of NCAF. For more information on NCAF, please visit their website.